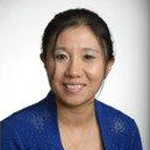 Dr. Mei Shelp is a mine water specialist with nearly 20 years of research and industrial experience. Prior to joining Centerra Gold as a senior Manager Water Management in 2018, she served in the similar role at Barrick Gold (11years). Dr. Shelp provide corporate oversight and serve as a technical resource to the operations to achieve the best performance and technical decisions on water management systems across the mine life cycle. She also serves as a study lead and provides technical assistance to the development of capital projects in the preparation of environmental impact assessments, feasibility studies and permit applications. Dr. Shelp obtained her B.Sc. degree in Meteorology from China Agricultural University in Beijing, MSc in Land Resource Science, MS. Environmental Engineering, and Ph.D. in Land Resource Science from the University of Guelph, Canada, and completed a Post-Doctoral Fellowship in Environmental and Geotechnical Engineering at the University of Western Ontario, Canada. Dr. Shelp has been a licensed Professional Engineer in the Province of Ontario since 2004.